Exercises for neck pain and tension headaches can be accomplished by balancing the muscle tension in the tight and weak muscles, ligaments, and tendons of the neck and shoulders. Frequently I have clients come in complaining of neck pain and tension headaches. They may have woke up with a stiff neck from a bad night of sleep, they may have Ipad neck from hunching over a computer too long, or they may just have sudden tension headaches from stress or poor posture. Improve your posture with these exercises. I usually pull out the foam roller and work three different stretching exercises for neck pain to rebalance the muscles of the neck and shoulders. Usually a muscle or ligament imbalance in the neck and shoulders causes the neck pain or tension you might feel. So, if we can address the length/tension imbalance and get your head set back on straight it will release some o the pain. Lie so the base of your skull is resting on the foam roller, you will feel the pressure at the skull. Make sure it is not on the soft part of your neck. Keep your shoulders relaxed and chest open as you lie there. Begin nodding your head/chin up and down. As you lift your chin feel length both in the front and back of the neck. Repeat this for at least 10 repetitions. Next, lift your chin so there is length in front and back of the neck and then roll the head, looking side to side keeping the chin lifted. You will feel the tension release there at the base of the skull. Repeat again for about 10 turns. Last, keeping the chin lifted and length make small circles rolling the head like you are drawing circles on the ceiling with your nose. Do this for 10 repetitions each direction. You may be able to use a tennis ball or a rolled up towel for these neck pain exercises. 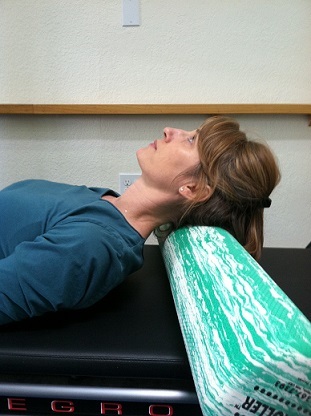 Find more ways to alleviate neck and shoulder pain here. Strengthening exercises for neck pain. Only equipment needed is you, your head, and your hand. Sitting tall with your chest lifted place the palm of your hand on your forehead and press keeping your head still. Press, hold, and release 5-8 times. 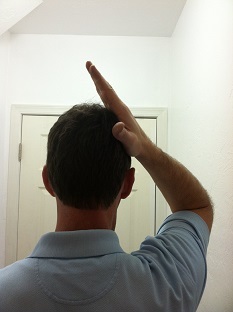 Second, place your right hand above your right ear and repeat the press and hold 5-8 repetitions. Third, place your left hand above your left ear and repeat the press, hold, and release for 5-8 repetitions. 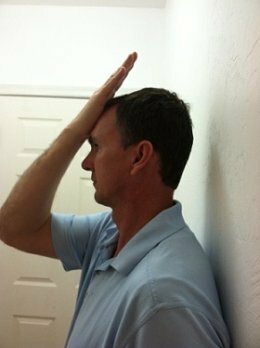 Fourth, place one or both of your hands at the back of your head right in the middle and repeat the press, hold, and release for 5-8 repetitions. 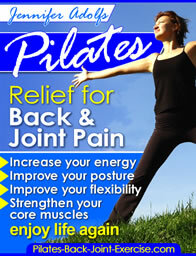 I hope these exercises for neck pain help relieve yours, find out more ways to relieve other back and joint pain here.